A recent update to GregTech nerfed wood collection in Minecraft. 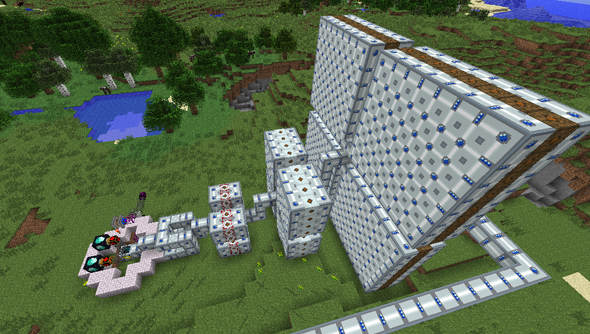 It changed the number of planks generated from crafting wood from four to two, halving the production rate for players. A significant change to the game which changes the core balance of resource collection. Because the change is on such a fundamental element of the game it means that many mods that might be running in tandem with GregTech have become unbalanced. The developer of Tinker’s Construct, mDiyo, responded to Greg’s changes by releasing an update which undid the changes that Greg had implemented. If you had both mods installed then you would once again collect four planks from wood. At this point Greg added code to his mod which would crash the game if his changes to wood were altered. As soon as code concerning gathering wood was run then the game would crash. Clearly, the two developers have a history of adding code to their mods which specifically alters functionality of the other’s but mDiyo’s was to reverse features, Greg’s actively damaged the game.